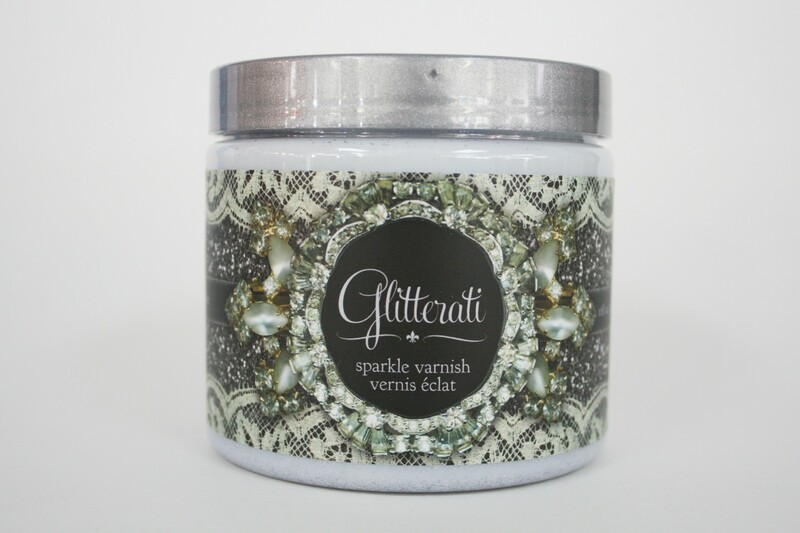 Maison Blanche Paint Company Glitterati Varnish is a water-based clear matte varnish that contains real flakes of glitter. 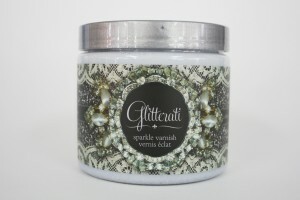 Glitterati can be used to enhance and protect any surface that has been painted with water-based paint. Make an entire wall shimmer or add a whimsical twinkle to painted furnishings. Glitterati delivers a veil of sparkle to wall and craft projects while affording the protection of a varnish at the same time.